The cult classic lip balm in now in a stick format, which means less sticky fingers! I have tried a couple of TBS lip products and they are usually hit or miss. The lip balm supposedly has a transparent shimmer but I didn’t see anything. The lip balm does impart a slight subtle shine but like the shimmer it’s hardly apparent. The lip balm does moisturize and condition my lip and has a sweet scent --- I could see how it can be considered a pomegranate scent but I wouldn’t consider it pomegranate, if I was smelling it for the first time. A very average lip balm, I might get it again if it was heavily discounted, otherwise I would stick with the basics - Chapstick/Nivea/Blistex. Abigail Schrock has been through enough heartache for a lifetime. Her mother and father were taken from her after a tragic accident while her sister is still recovering. She is hopeful that her current boyfriend will make everything better by marrying her. Unfortunately, he breaks up with her and tells her there is someone else. Asa Bontrager leaves his home and moves to Birch Creek because he believes it's God's purpose. He doesn't understand why God is telling him to follow Abigail when she wants nothing to do with him. Will the two be able to find true love? The novel was an interesting and quick read. 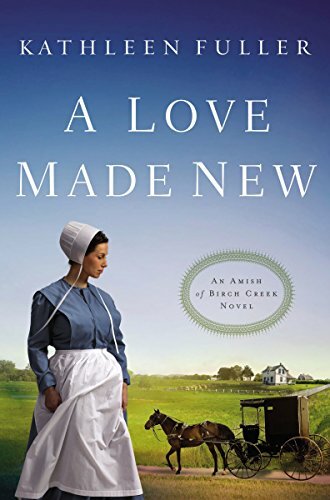 While, it read like almost every Amish romance novel, I like how they included back stories for the support characters. On a side note, there is a lot of characters which might make the novel confusing at first especially if you didn't read the other novels. However, the novels each can be read standalone. The year is 2069 and the Apocalypse has come and gone. After, a devastating war that wiped out 90% of the world population and resources, religion was blamed as the root of all evil. People who chose to continue follow their religion are punished by being sent to a work camp. Grant Cochrin lives at the petroleum camp with his family and friend for a majority of his life. After, a strange encounter, Grant starts questioning his life and wonders if there is more to life than he currently knows. With a band of friends and family, they set out to the unknown. 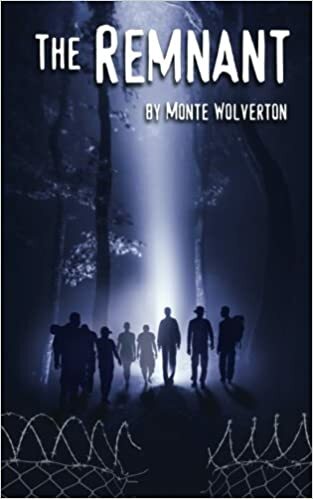 Will Grant and the others be able to find a Christian group like them? What evils lie beyond their borders? The book had an interesting premise about religion and the state of the world after an end of days situation. The writing seemed a discombobulated along with having flashbacks at random points of the novel without any lead way to it. The story seemed a bit longer than it needed to be and the characters didn't seem authentic. The writing felt forced especially towards the end with fluff over detailed pieces peppered in. I usually have a good opinion of Jurlique products, however, lately I tend to have more misses than anything. The night moisturizer promises a rich and creamy consistency but it seemed a bit watery and not as creamy as other night creams I have tried. Granted, because of the thin consistency, this night cream could be better suited for the warmer months than the colder months, where moisture and hydration is key. The overnight cream promises to minimize the appearance of dark spots/discoloration. The night cream is packed with sunflower and safflower oil, hyaluronic acid, kakadu plum extract, citrus unshiu peel extract, African birch extract and vitamin C. With a powerful cocktail of natural oils, antioxidants and vitamins -- one expects to be WOW’ed by the results. I didn’t notice any difference on my skin. My face still felt dry and my skin drank the lotion up. I think I am going to pass on Jurlique’s products for awhile. Grant McAllister never had good memories of Murphy, North Carolina. His estranged grandparents left him an aging mansion along with a sizable inheritance. 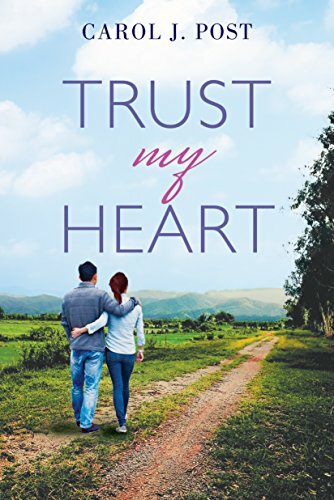 Grant has no interest in staying in Murphy, until a spunky report and next door neighbor Jami Carlisle catches his interest. After being being hurt by others, he is unable to trust and love as easily as before. Jami also reeling from breaking off an "engagement" with her on and off boyfriend, she is no rush to get into another relationship. Will Jami and Grant be able to get over their past? What secrets are hidden by in the mansion? When reading the blurb for this book, I thought the Grant's family secrets would play a bigger role in the book. However, maybe a few sentences were about his family secrets and the rest of the story was about the growing attraction between the two. The story was an easy read but middle of the book, it got repetitive and annoying. Something would happen, then they would break up, then something would happen, then they break would break up, then something would happen and they would FINALLY decide their relationship are worth fighting for. This entire book felt like fluff. A decent read if you are a fan of the writer, but I expected more from this book. Every parent wants to provide the best for their families but with the everyday demands from work, family, chores, etc makes it sometimes impossible. However, studies have shown even a small change can make a dramatic impact. Not many people give a second thought to the toothpaste they are using unless they have a medical issue or problem. I can say without a doubt, I am one of those people who just picks up whatever is on sale. I have notoriously picked up a kids flavored bubble gum toothpaste for myself. Granted, I know families with small kids have a tough time finding a toothpaste that is both pleasing and safe for both adults and children. I was very excited when I was given the opportunity to try some of Himalaya's Complete Care Toothpastes. At first, I was very wary. I have tried other "natural" toothpaste that tasted like glue or provided a poor froth. Putting aside my skepticism, I tried one of the "Simply Mint" flavors. I was blown away by the pleasant minty flavor. It was definitely not overpowering as saying using Listerine but a soft and calming taste such as eating a small dinner mint. The toothpaste provided a generous foam and left my teeth feeling shiny, smooth and vibrant with no crusty buildup. I didn't have to worry about having smelly breath during the day because my breath felt thoroughly clean afterwards. The toothpaste is also safe for families with young children as it doesn't have fluoride, although, I personally prefer this in the toothpaste I use. The best part is each toothpaste has an exotic blend of herbal ingredients. Such as pomegranate, neem, Bishop's weed, false black pepper, Indian gum Arabic Tree's, Triphala, and Five-leaved chaste tree. I can say I have never heard of many of these ingredients but unlike many other drugstore branded toothpaste these ingredients are natural and can be found in nature. Each toothpaste is free of carrageenan, SLS, Gluten and Fluoride free. With over 7 flavors, there is definitely something everyone can enjoy. The lip balm promises to hydrate and restore dry lips. The flavor and fragrance free lip balm is packed with coconut and jojoba oil to keep lips hydrated and supple. It is free of gluten, parabens and phthalates. The balm went on smoothly but left my skin a bit greasy. However, I found myself constantly reapplying as my skin felt dry throughout the day. The oil free SPF 20 moisturizer is infused with botanical complex to protect skin from harmful UV rays. The creamy water resistant moisturizer provides a sheer coverage and leaves skin looking luminous and natural. The lightweight moisturizer left my skin feeling soft and cover up small imperfection. However, I didn't find it provide enough hydration to my skin.